The Dive Society, Malapascua, Cebu, Philippines is one of the best, and most knowledgeable, ways to visit the various and wonderful diving sites of Malapascua. 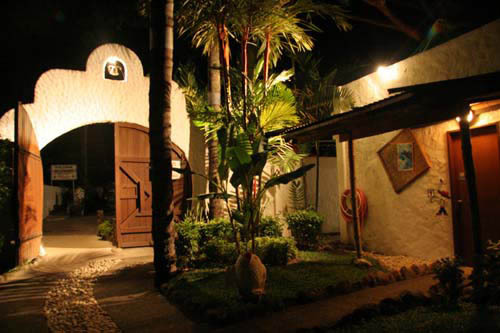 It is so near to Kokay's on the beautiful Malapacua beach, that you can arrive in just a few steps! After you leave Cebu, the first image Malapascua Island offers will stay with you for a long time! You will think, this is the real Philippines, the exceedingly beautiful pristine stretch of white sand, crystal clear blue waters bordered by coconut trees, and dozens of scattered native style houses. Diving in the clear waters off Malapascua Island in the province of Cebu is made easy with the professionals at the Dive Society - Malapascua Cebu. Of course there is no better place to see all this, than while staying at Kokay's Maldito Dive Resort! 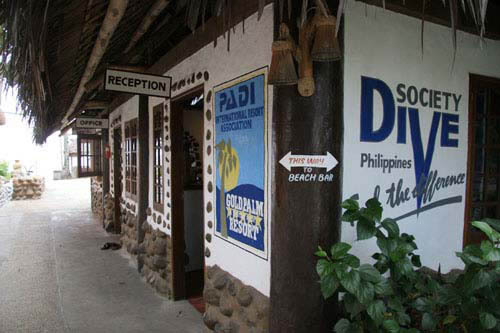 One of the most outstanding holiday & dive resorts in the Philippines! Located in Dauin, Negros Oriental, Philippines, which is very near both the famous Dumaguete City and the glorious Apo Island scuba diving sites. This is said to be one of the very best dive locations in the world because of the large variety of underwater adventures near El Dorado Beach Resort. Beautiful views and side trips up the Mount Talinis volcano. But don't worry, Mt. Talinis, a.k.a. the Cuernos de Negros [Horns of Dark], although classified as active, has not erupted in over 400 years! From Kokay's Maldito Dive Resort you can reach El Dorado Beach Resort comfortably by car (and a couple short boat rides)! For the best holiday of your life, spend half your time with us at Kokay's Maldito Dive Resort, Malapascua, Cebu and the other half with our fiends at El Dorado Beach Resort, Dauin, Negros Oriental (Near Apo Island, Siquijor and Dumaguete!). 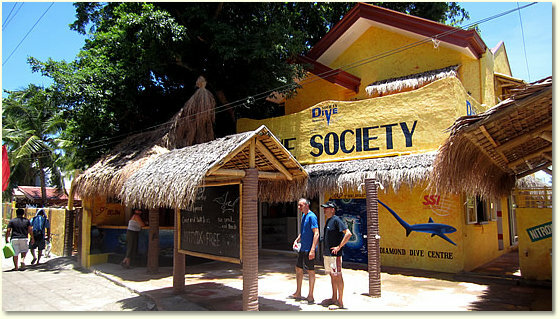 DIVE SOCIETY - Dumaguete is conveniently located on the grounds of El Dorado Beach Resort's. So when you have had all that Malapascua Island offers, head on over to El Dorado Beach Resort and continue to experience the highly skilled team at the Dive Society. Just ask us at Kokay's Maldito Dive Resort and we will help arrange transportation to El Dorado Beach Resort and "All the fun under the sun!"